Crayola have started selling their multicultural crayons, markers and paints in the U.K. They have been available in the U.S. since 1992 and have just made their way to our shores. 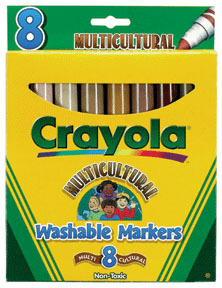 Crayola describes its multicultural line as 'an assortment of ethnic-sensitive colour palette.' The new crayons, paints and markers come 'in an assortment of skin hues that give a child a realistic palette for colouring their world.' The eight different colours are black, sepia, peach, apricot, white, tan, mahogany, and burnt sienna. Crayola is now using 'peach' (euphemism for white) instead of the term 'flesh' which it had used previously. This was mainly due to pressure from the U.S. Civil Rights Movement. 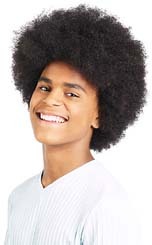 The colours still don't cover every skin-tone but they do give children more options. At present the multicultural crayons, markers and paints are only available to education outlets so they might be a bit difficult to get hold of. Try asking your child's teacher if they can order some for you or contact Crayola for more information by emailing consumers@vividimag.co.uk or call 01702 208170.